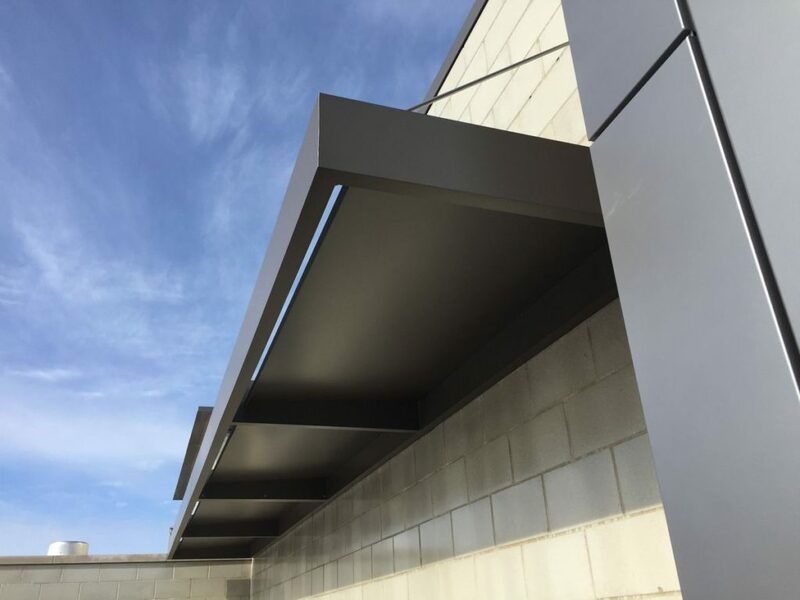 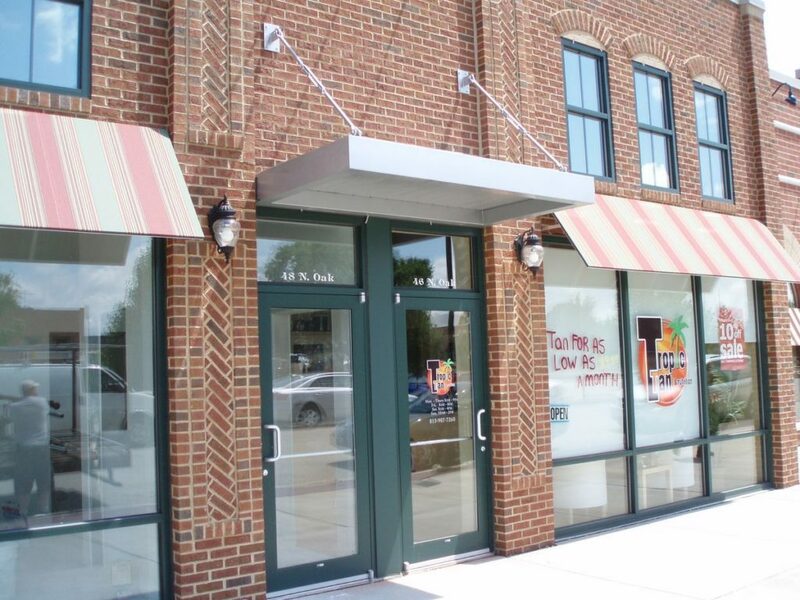 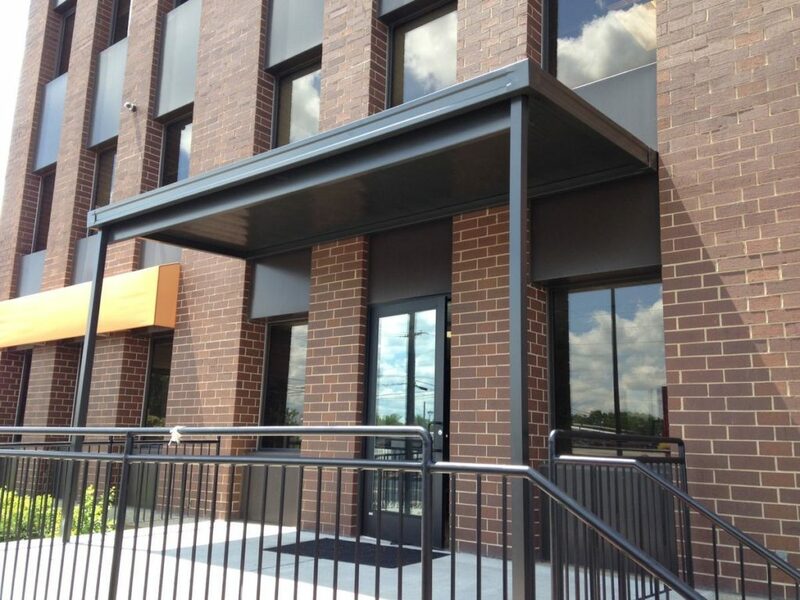 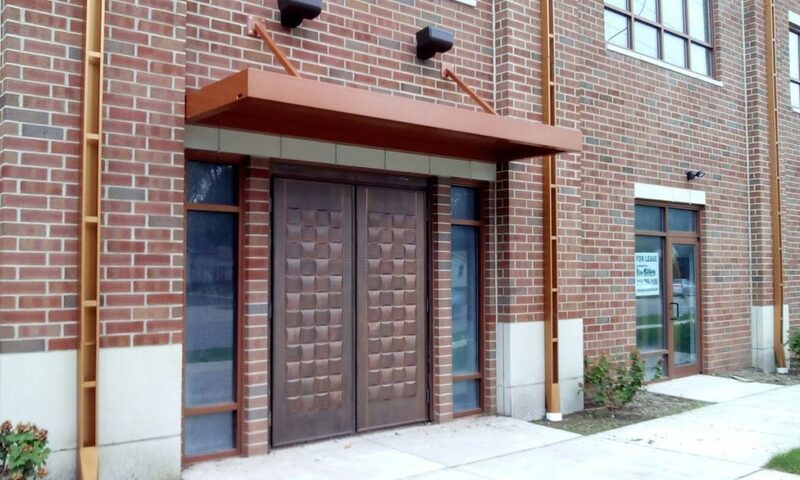 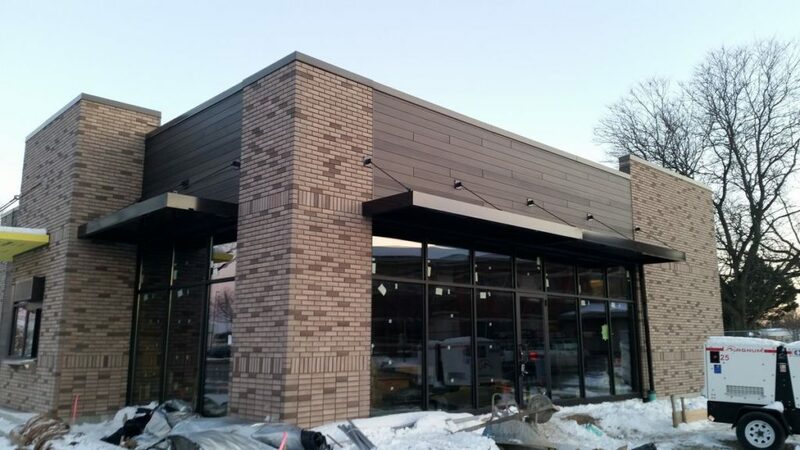 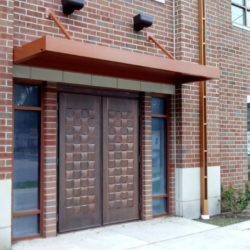 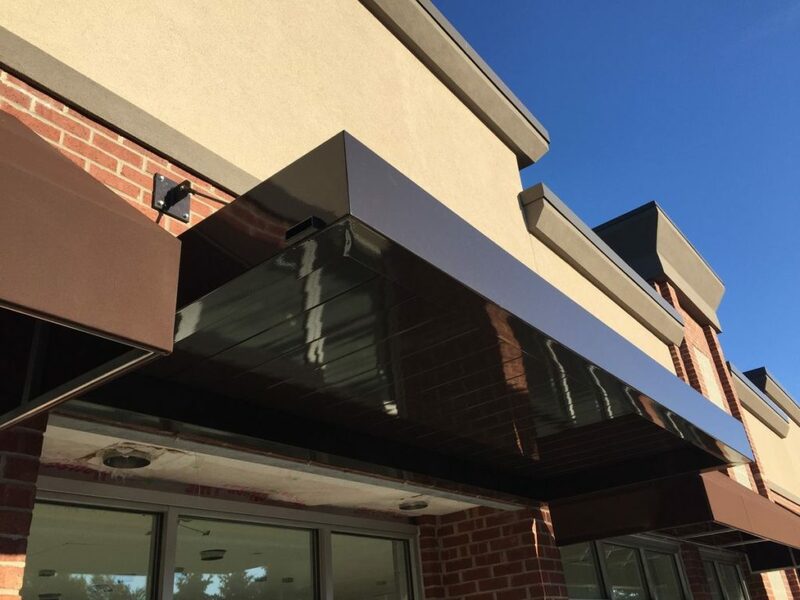 Suspended Flat Hanger-Rod Canopies are a new trend that bring a sleek new look to storefronts and office entrances. 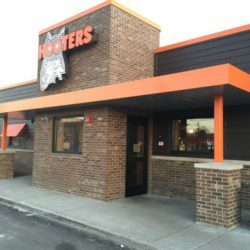 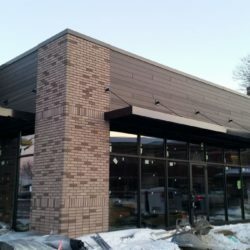 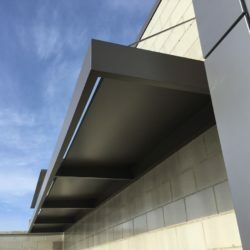 They provide a unique architectural aesthetic value along with excellent sun, rain, and snow protection . 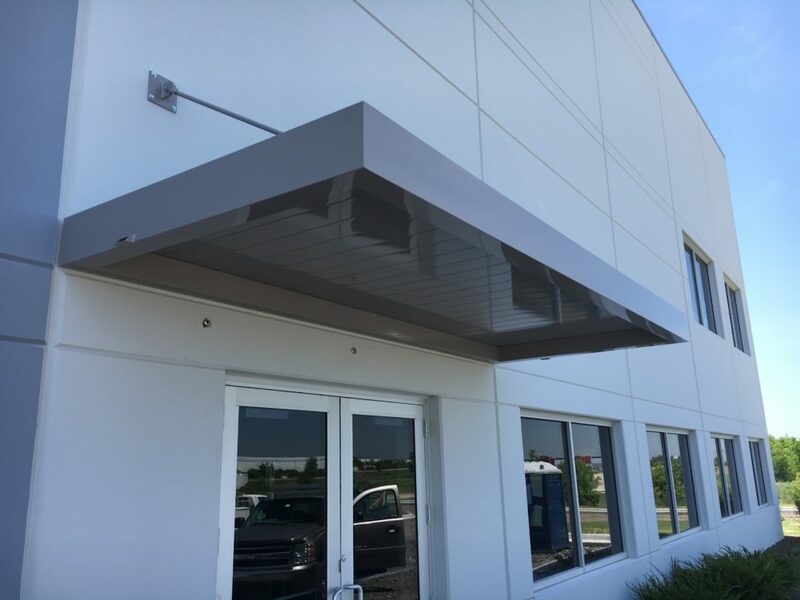 Our hanger-rod canopies are made of aluminum or steel and are powder-coated for a durable exterior finish. 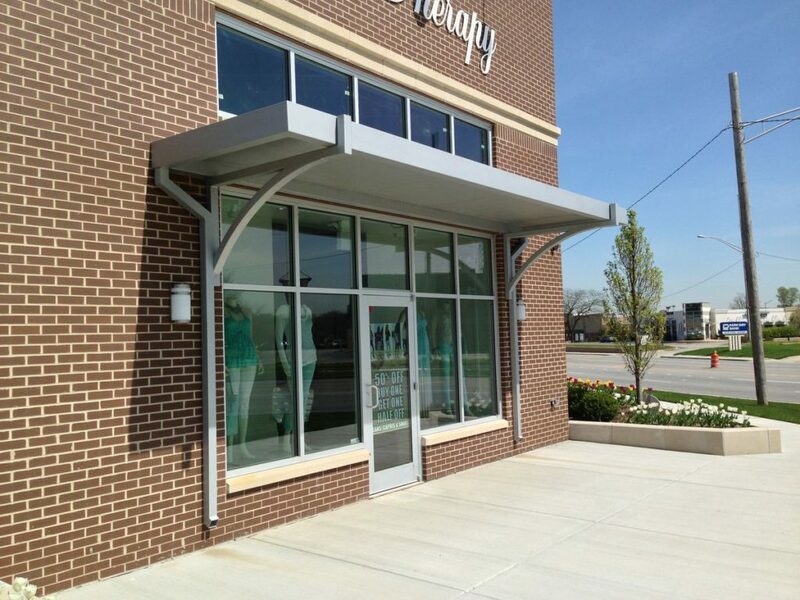 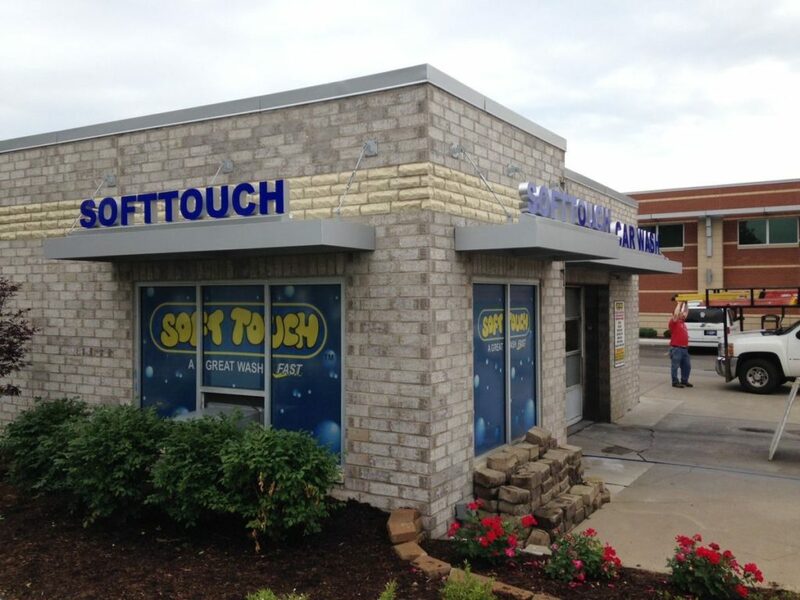 Entrance canopies are the first visual impression customers experience when visiting your business. 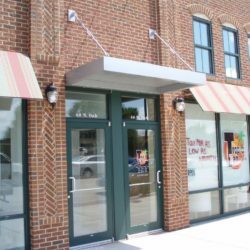 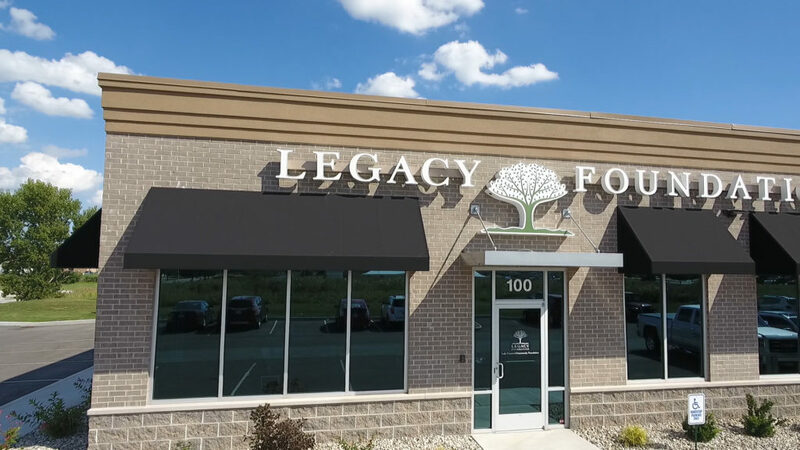 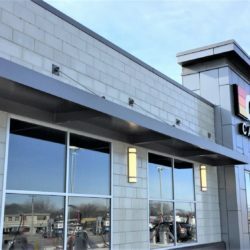 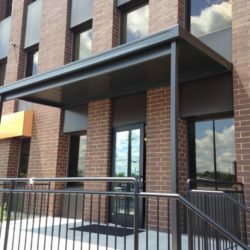 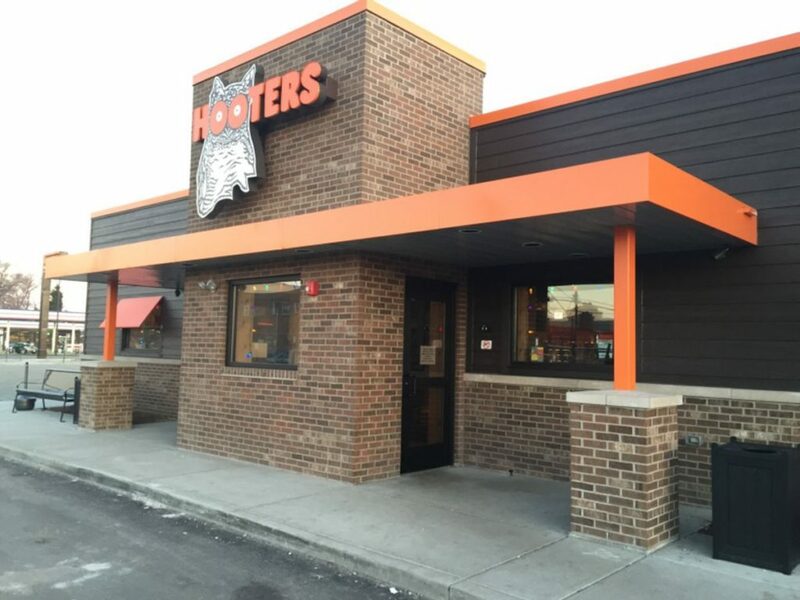 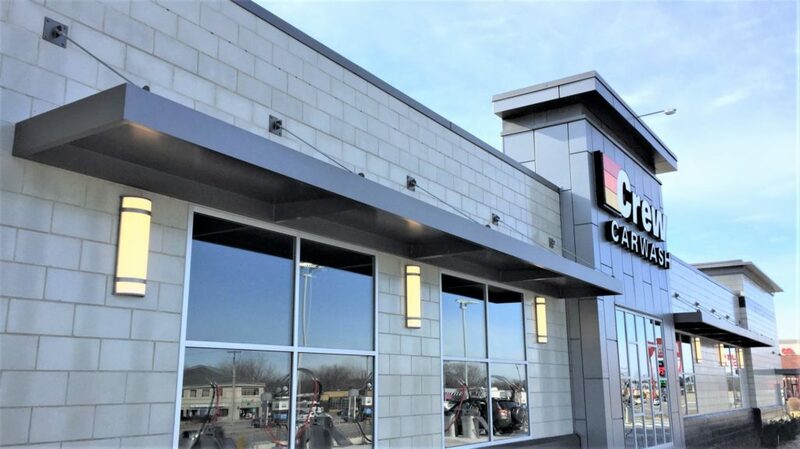 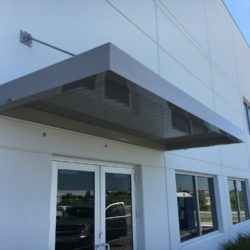 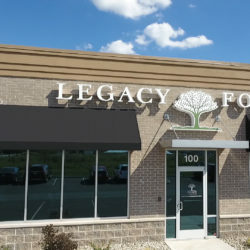 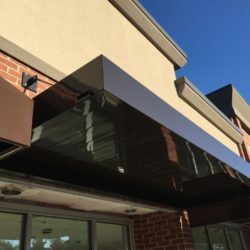 Make it a lasting impression with a custom design by Merrillville Awning that perfectly fits your corporate image and sets your business apart. 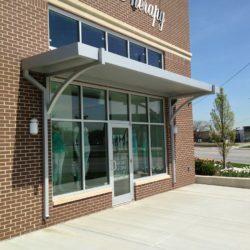 Contact us Today for a free consultation and be a trend setter.